When the University of Central Florida set out to find those responsible for the controversy surrounding Colbourn Hall, the four employees UCF moved to fire were first made an offer: resign voluntarily and keep their reputation intact or be fired with the option to fight the decision at a predetermination hearing. That’s according to the husband of Lee Kernek, one of the employees UCF wants fired. Knight News sat down with Keith Kernek after he said he and his wife effectively lost half of their household income because of UCF’s choice to make four “good, loyal, hardworking employees” the scapegoat of what he believes is a flawed Burby report. “It hurts. It’s totally unjustified,” Keith said. UCF made the resignation offer Friday morning, January 18, according to Kernek, with five business days to return with a decision. The termination was instead announced that day before the Board of Trustees met at 3 p.m.
Other employees UCF moved to terminate include Associate Vice President of Finance Tracy Clark, Associate Vice President of Debt & Revenue John Pittman, and University Controller Christy Tant. And when news of the president’s punishment for the controversy was announced by BOT Chairman Marcos Marchena – a cut in an annual bonus – Kernek was not pleased with how the stakes for UCF’s biggest decision-maker fell monumentally short of the ‘unjustified’ punishment given to his wife and three others, he believes. Allegedly, one of the four employees, John Pittman, did not know of E&G funds (the money used inappropriately to build Trevor Colbourn Hall) until he saw their explanation in the newspaper. Pittman’s role at the university centered around managing debt rather than delegating money to new construction or managing E&G funds whatsoever, sources told Knight News. In the termination notice, the university cited an investigative report created by private international law firm Bryan Cave and lead investigator Joseph Burby, limited in scope by the UCF Board of Trustees Chairman. Keith believes an unfair and suggestive interrogation by Joseph Burby took place when his wife Lee was interviewed. The account struck parallels with former UCF President John C. Hitt in which he described the Burby encounter via letter as “unexpectedly adversarial” while being “led to say some things that were not accurate.” Other sources further detailed an interview process that left employees in tears after speaking with Burby. Knight News asked UCF if Burby wanted to comment in his own defense but UCF did not respond. Marchena ultimately stepped down from his post as BOT Chairman in front of the Florida Board of Governors on January 31 in an effort to show sincerity in how he approached the matter, he said to the Board and on social media. The former Chairman’s decision did not win enough hearts to halt the investigation, however, but Kernek believed it to be a step in the right direction while fiercely maintaining his wife’s innocence. Knight News obtained a summary of Burby’s interview with Lee Kernek dated October 2018. 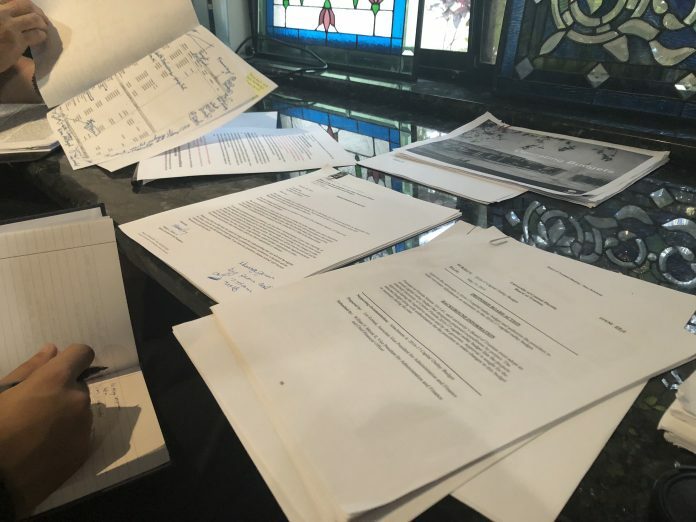 It was marked confidential and only released after Knight News hired a lawyer to negotiate with UCF to provide the public record even though the university took the position that it didn’t have to supply the document. To the Board of Trustees, the results of the Burby report paint a different picture. Board of Trustees Chairman Robert Garvey maintains that the four senior leaders employed deception to ensure that the funds would be used for the project at hand. The report alleges that the employees, in one part or another, began to use the funds without fully understanding their limits, but later learned their inappropriate use and moved forward anyway. “The Board of Trustees understands the gravity of this violation of statutory requirements and the public’s trust. The misuse of state funds is never acceptable. That’s why the board committed to a thorough, transparent and independent investigation. That investigation found that Bill Merck, the former CFO, and senior leaders of his team purposefully took inappropriate and deceptive actions,” said Garvey’s comment, written by Vice President Grant Heston, according to the Orlando Sentinel. Keith refuted the BOT’s response to the report as a cover to save the Board’s reputation as the House of Representatives continues their independent investigation. Clark, Kernek, Pittman, and Tant, among ten others – including President Whittaker and Hitt – have been subpoenaed before the House of Representatives to testify in their ongoing investigation. Stay tuned with Knight News for coverage of the events.